Post news Report RSS	Ninja Super Fight Announced! Coded Velocity is officially announcing Ninja Super Fight, an all new high-speed 3D fighting game. Coded Velocity is officially announcing Ninja Super Fight, an all-new 1 and 2 player side-scrolling fighting game. 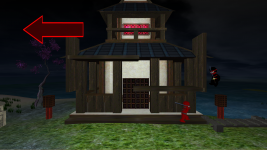 Players battle with katanas, kicks, and shuriken across multiple screens in each level. 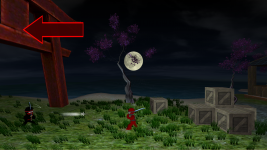 Defeated opponents respawn quickly in front of the player's path, making for exciting, continuous action across giant levels, all in the spirit of popular one-hit kill fighters. 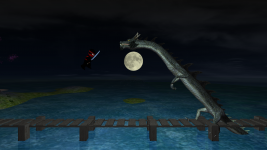 The first game level in announcement screenshots features two moonlight islands connected by a narrow bridge. Waving grass, obstacles, death traps, and buildings challenge the players as they sneak, battle, and race towards the finish. 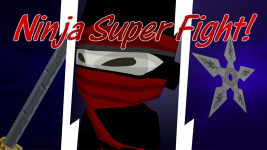 Ninja Super Fight is targeted for release in early 2015. We hope to have a gameplay video very soon, and a live Beta within the next few weeks!